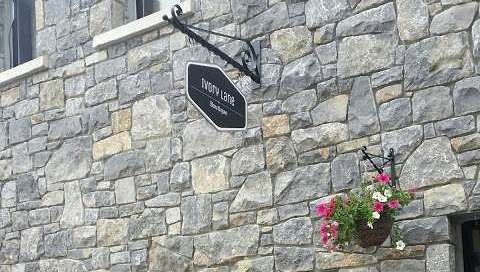 Ivory Lane Opened in July 2017 located in the village of Oranmore, Co Galway. (Next to the filling station). The boutique showcases a handpicked collection of mother of the bride/groom,Occasion wear,Smart casual and Statement accessories . Our emphasis is on finding elegant, functional quality and trend proof pieces standing the test of time and season. All our pieces are Chosen with this in mind, ensuring they exude timeless elegance and style, ”Forever Pieces”! The Occasion wear collection is directed towards both the contemporary mother of the bride/groom and the family occasion client. This lady seeks fashion forward pieces while maintaining a timeless elegant Look. We complement our statement Occasion wear collection with a bespoke collection of head pieces. These have been designed especially for Ivory Lane by the Talented Milliner Lesley Teehan from Harper’s Hats. Our casual collection was chosen to be smart, functional and trend proof.We place great emphasis on quality taking the wearer from work to the school run to dinner with friends. We choose our accessory collection to complete both our occasion wear and casual looks.It consists of a range of statement occasion clutches, leather bags , leather wallets, scarves and watches .